iShopping.pk offering latest handheld gaming item that has been launched by Nintendo at the same price as Nintendo 3DS Price in Pakistan. Each Nintendo 3D system contains multiple feasible features which make it more interesting and let you enjoy a video game. Nintendo 3DS is one of the portable product that didn't allow you to stay at one place to enjoy your game. All Nintendo 3DS at iShopping.pk perform multiple functions and that design to encourage players to go on their flow and keep play with complete passion. You can integrate your PlayStation through the internet and take more benefits as possible. 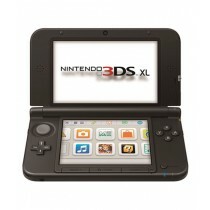 The Nintendo 3DS system helps you to take step toward the possible eye-popping world of a game with its 3D Screen. 3D screen support you to play game conveniently with a clear picture and a good range of color. You can easily identify the position of the character and play with complete passion. You can immediately adjust 3D slider at any time as per your requirement and play a game your game with ease. You can also completely turned down the slider for a better experience and don't need to face any hassle while playing a game. 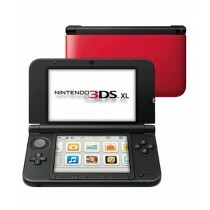 Nintendo 3DS is known for its portable design which brings it to the next level of a video game. It is one of the amazing features of Nintendo 3DS which makes the game more fascinating allow you to twist your system whenever you want. Nintendo 3DS Price in Pakistan is competitively good for its all feature and you can entertain yourself without ruining your bank account. You didn't look double screen feature in other handheld systems before Nintendo 3D. It has a wide display screen at the top that shows 800x240 pixel that creates a 3D reflection. The LCD at the bottom contains a touch screen sensor touchscreen and featured with 320x240 resolution. Both screens can display a high range of color displaying 16.77 million colors. Nintendo 3D brings complete analog control in the world of 3D Game which unites with the touchscreen, camera, traditional button, advanced motion control, gyro sensor, motion sensor and many more. These features make it more extraordinary piece and Nintendo 3DS Price in Pakistan is incredible for this brilliant features. The Nintendo 3DS also contains a camera to save the beauty of the world to see it with 3D. It will allow creating a 3D video, photos, and animation that will give a good experience to your eye. You can enjoy features of the 3D camera in the price of Nintendo 3DS in Pakistan.